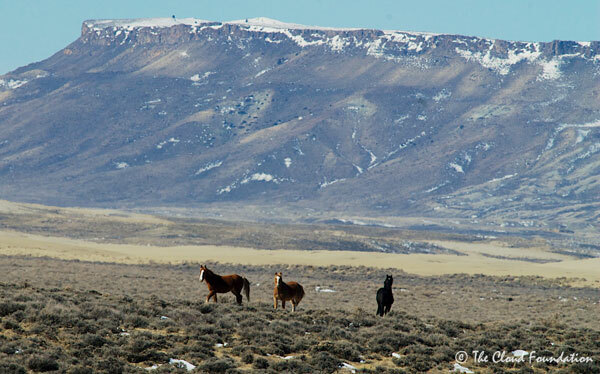 On August 1, 2014, The Cloud Foundation, American Wild Horse Preservation Campaign, Return to Freedom, Carol Walker, Board Member of Wild Horse Freedom Federation and Kimerlee Curyl filed a lawsuit to stop BLM's proposed roundup of more than 800 wild horses from the Adobe Town, Salt Wells Creek and Divide Basin Herd Management Areas in Wyoming. The roundup had been scheduled to begin on August 20, 2014, but has been postponed as a result of the lawsuit until at least Sept. 1. Even though both the District Court and the Tenth Circuit denied the emergency motions seeking to stop the roundup in the Wyoming Checkerboard, the case will still proceed to merits after the roundup occurs.